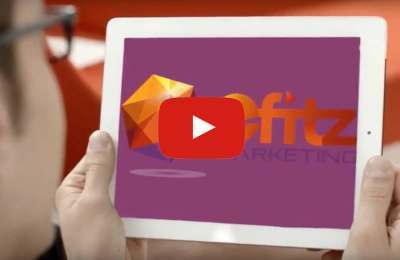 Efitz Marketing is a boutique traditional and digital marketing agency located in Tramore, Waterford. Our full service marketing Waterford is focused on digital marketing, advertising, social media, PR, & events to generate ROI and long-term brand awareness. We are marketing specialists that centred on complete digital and traditional marketing solutions. Our unique approach to marketing involves combining digital marketing strategies with more traditional marketing forms to match the business objectives, be it growth, awareness or sales. Therefore, our bespoke marketing packages are tailor-made to the needs of each individual client. Marketing is a right brain/left brain fusion. We understand business strategy and creativity. We can market a new product or scale an existing one with game changing strategy implementation. We’re leaders of inspiration and analytics, where data driven insights intersect with exceptional ideas. Our hard work is evident and supported through success stories and happy client testimonials. This is what some of our clients had to say.. 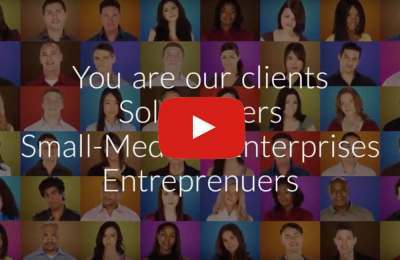 Client video for Squirrel by Caffco, a Sales and dispatch software. Our strategic approach aims to grow your business. We brainstorm our way to resolve problems to realise your business vision. We offer tailored plans and bespoke packages to suit your budget and requirements. Efitz Marketing impressed us from the start with their professionalism, communication and results. My projects with Efitz Marketing included Social Media, Email Campaigns, and all online/offline advertising. Having provided us with meaningful data, and analysis, I was able to make strategic decisions for how we advertise on the web and all future endeavours. I have no hesitation in recommending Evelyn and I will be working Efitz Marketing further. 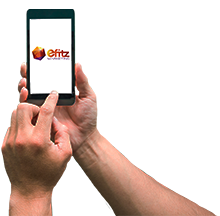 We recently engaged Efitz Marketing to develop our website for our business. Evelyn and her team listened to our requirements, made recommendations and within a few days, our new website was live. We were extremely satisfied with the service and would have no hesitation in recommending Efitz Marketing to other businesses. EFitz Marketing assisted Waterford & Tramore Racecourse with the organisation of our inaugural ‘Heels, Hats and Horses Evening’ during the June race meeting. From the outset Evelyn gave every aspect of the event her personal attention, ensuring it was professionally organised, with her good eye for detail. In advance of the event, updates and communication was excellent whilst during the evening, Evelyn oversaw the running of the event herself and liaised with suppliers, caterers, expert speakers and all the ladies that attended, to ensure it was a success. We wish Evelyn continued success with E Fitz Marketing. Have worked with Efitz Marketing since Feb 2017 and continue to use them. They assessed our business strategy and implemented the marketing plan accordingly, using the most modern marketing techniques. Found Evelyn extremely knowledgeable and easy to deal with in helping our company become known through social media outlets. The work done delivered an increase in sales traffic and customers through specific marketing campaigns, which have greatly enhanced our sales. I would highly recommend Evelyn Fitzmaurice at Efitz Marketing. 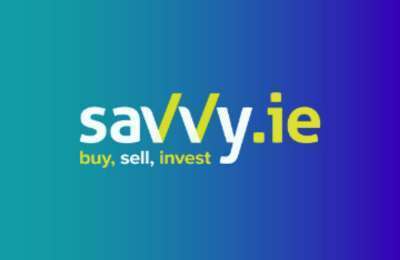 She assisted us at our savvy.ie event in Waterford and project managed the entire process for us. She also provided a full promotional campaign in advance of the event, which ensured that we had a great turnout of well-informed attendees. She also facilitated the use of real-time live polling during the presentation, which ensured audience participation and informed our Q&A session. Without exception, our attendees gave us great feedback and we were delighted by the success of the event. We will be using Efitz Marketing for our planned rollout of the events in the Autumn. Evelyn has a great vision and a great approach to problems. She understands the brand, our customer and how everything connects to deliver our promise. Efitz Marketing brings a balanced outside perspective which has greatly enhanced and organised our marketing efforts. Tim O’Leary, Owner, Destiny Car Dismantlers, Portlaoise. I would not consider myself tech savvy and Efitz Marketing really helped! Evelyn initiated ways to increase business by setting my business up online, so we can be found. Evelyn performed a website audit and made thorough recommendations where it was lagging. Our stronger presence has put us in a better position to achieve our goal of reaching more customers nationally. “Evelyn Fitzmaurice of EFitz Marketing has done an outstanding job in marketing for our Connect Effect business networking group. She has provided advice on the strategic direction of the group, published well-written PR releases, and managed our social media accounts. In that time, we have noticed several-fold increases in the reach and engagement of our posts. Evelyn has a fresh approach to each business, and really knows the client. She offered excellent advice on how to promote my services from topical presentations, PR and workshops. She was sensitive towards delicate matters in my business. I found her to hold high values, integrity and work ethic. She is creative and bursting with ideas. I have found Evelyn to be extremely professional & approachable with nothing to big or small. She is full of amazing ideas to promote my business with a flare for the creative. She goes above & beyond to provide the best what she does & is always updating to bring new skills & ideas to increase our return. I would highly recommend Evelyn at all levels. Brands that set you apart from the crowd. Enduring solid strategies that deliver. Campaigns that are clickable, likeable and shareable. Creative campaigns that gets you noticed. Content that excites others, that differentiates you and intimates your competitors. Social media designed that wows. Bespoke Emails that perform. Inbound marketing that surprises, captures and entices. Advertising that counts and increases ROI. PR events that make a statement. There’s nothing we love more at Efitz Marketing.